At Princess Anne Veterinary Hospital, an expert staff of veterinarian doctors and a skilled team of technicians are here to do just that. Under the directorship of our highly skilled veterinary doctors, your pet is always in good hands. We're ready when your pet needs us. Dr. Kier has been with Princess Anne Veterinary Hospital since 2002. 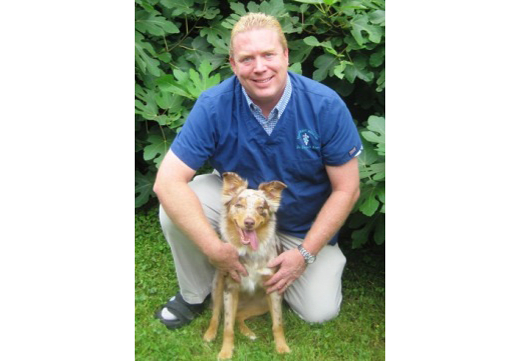 He is a nationally accredited Veterinarian and is an active member of the American Veterinary Medical Association. Dr. Kier received his undergraduate degree from Virginia Tech where he graduated with a Bachelor's degree in Wildlife Science and minors in Animal Science and Biology. In 1998, Dr. Kier started his graduate education at the Ross University School of Veterinary Medicine, located on the island of St. Kitts in the Caribbean. His senior year was completed at the University of Georgia before returning back to Virginia. When not working at Princess Anne Veterinary Hospital, Dr. Kier enjoys spending time with his wife (a local emergency Veterinarian) and his three children (two daughters and a son). Clients will often see him with his family at soccer, church, or scouting events. The Kier household has numerous pets including an Australian Shepherd, four cats and a number of fish tanks (both fresh and saltwater).